So what exactly is matcha? Matcha is finely milled Japanese green tea leaves, also known as a trendy Instagram-worthy drink that has become super popular among millennials. I’m on board with this trend and now like to get my caffeine fix from the tasty and healthy drink. Usually I don’t drink even caffeine because I cannot stand coffee, so matcha is the perfect solution for me! 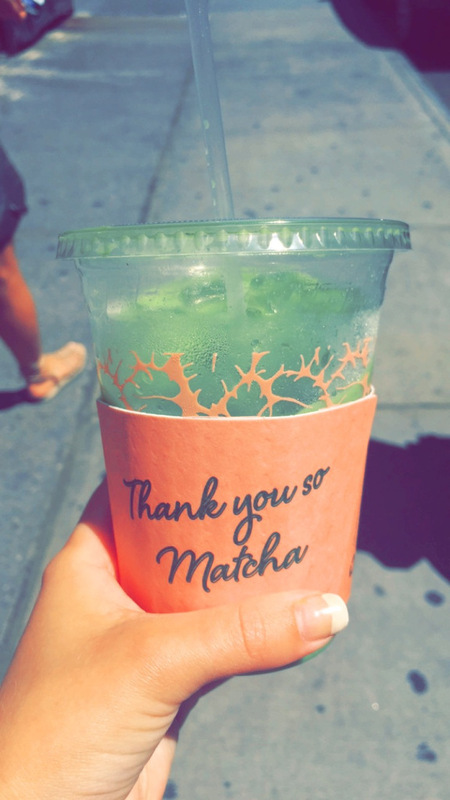 Recently, I found the cutest matcha café in Nolita called Cha Cha Matcha and absolutely love it. It’s so adorable with pink and green everywhere (they even have palm trees!) My favorite drink is the coconut matcha latté and the soft serve matcha ice cream is so refreshing on a hot NYC day. The café also sells matcha-infused pastries so you can still get the antioxidants from the powder. You should definitely stop by for your next afternoon pick-me-up or Sunday study session!